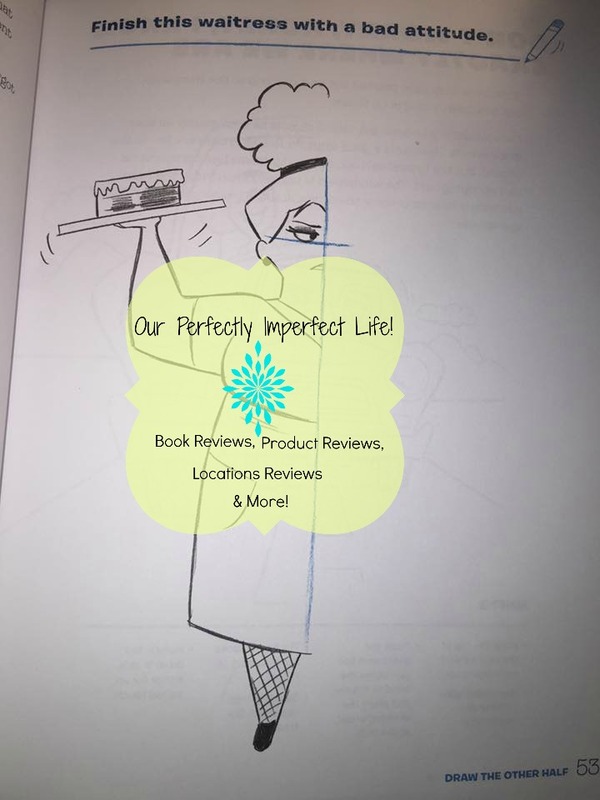 An interactive doodle book from a best-selling art instruction author and cartoon master that pairs illustrating insights with drawing, designing, and coloring activities for aspiring artists. Welcome to Doodletopia! Your first stop in this paradise of creativity? The world of cartoons. 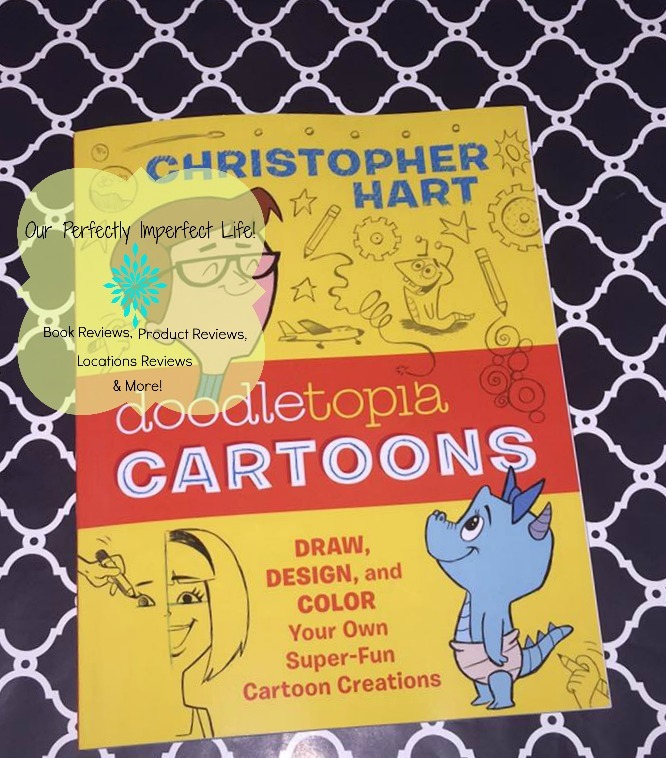 Your tour guide Christopher Hart is ready to introduce you to the interactive, artistic possibilities of creating your own exciting, hilarious, off-the-wall cartoon characters, gags, and more. 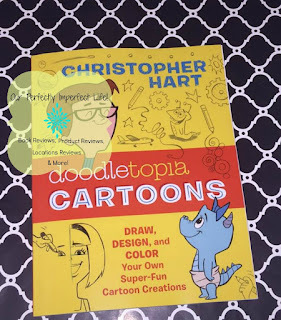 Unlike other doodle books that leave you stranded, with no help at all, Doodletopia: Cartoons pairs fun doodle-based activities with the sort of insightful (and laugh-out-loud funny) advice and tips that countless readers have come to expect from cartooning master Christopher Hart. 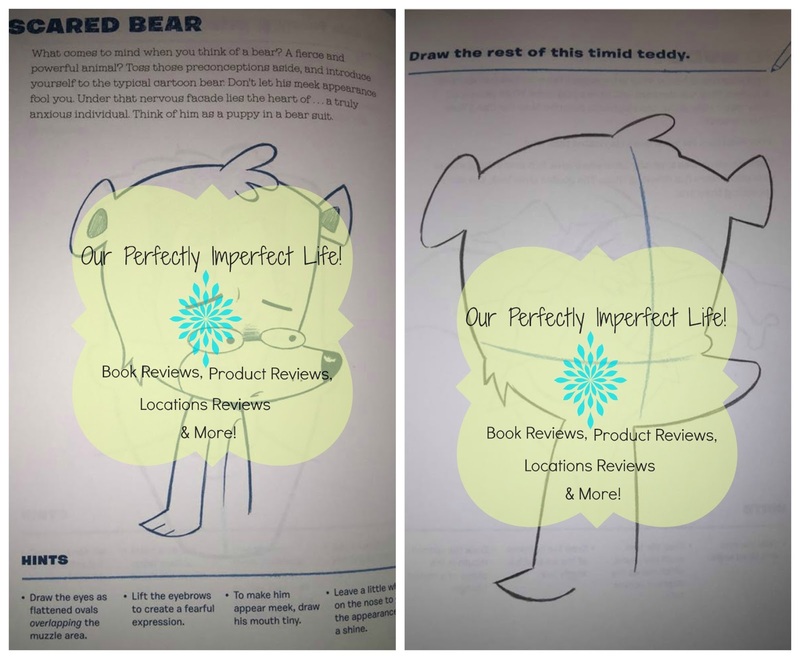 For the first time ever, you can pick up your pencils, pens, markers, or crayons, and draw, doodle, or color right on the same page as the author. I got this book as a late bday present for my 12 yr old daughter. I've gotten her one other book by Christopher Hart before and she loved it. 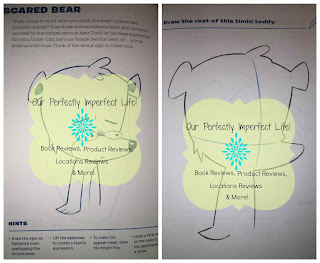 This one is different than the other one, in the fact that you can draw in the book to finish the pictures and draw your own. I almost like this one more becuase it gets your creativity going, and gives you "hints" on how to finish the pictures. 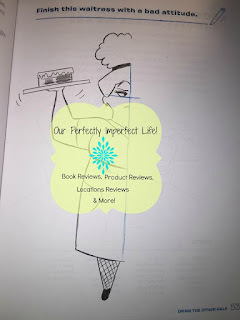 I've included a couple of pictures from the book. I would recommend this book to anyone who likes to draw, or knows of a child(or adult) who likes to draw.